A delicious dessert for any occasion. 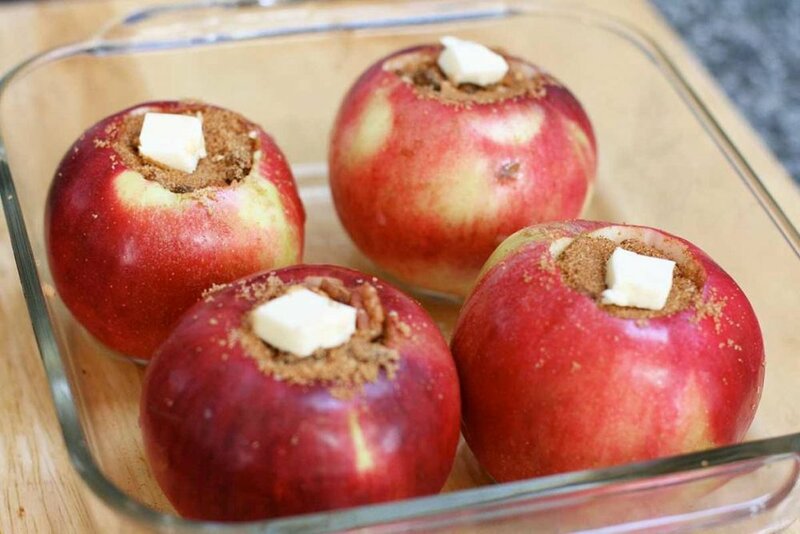 These fall baked apples will warm your insides and keep your guests happy. Cut holes in the apples for stuffing. 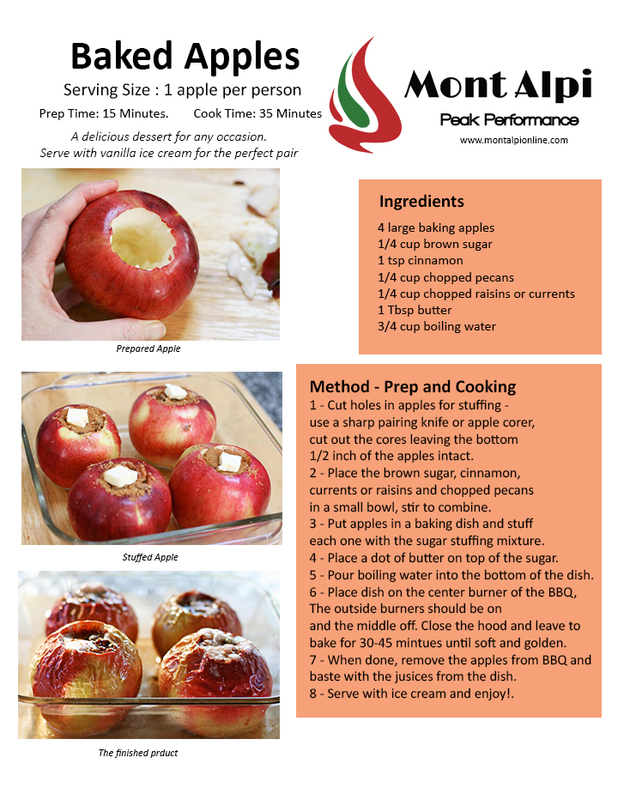 Use a sharp pairing knife or apple corer to cut out the cores. Leave the bottom 1/2 inch of the apple intact. If you are using a pairing knife cut around the stalk and then use a small spoon to make a hollow area in the apple. Place the brown sugar, cinnamon, current or raisins and chipped pecans in a small bowl. Stir the dry ingredients to combine. Put the apples in a baking dish and stuff each one with the sugar stuffing mixture. Place a dot of butter on top of the sugar to make the delicious, gooey, caramelized center. Pour boiling water into the bottom of the dish and place it on the center burner of your Mont Alpi. These will be cooking indirectly so put the outside burners on and leave the center off and close the hood. Leave the apples for 30-45 minutes until soft and golden. When done, remove the apples from the BBQ and bast3e with the juices from the dish. These apples are best enjoyed with vanilla ice cream.